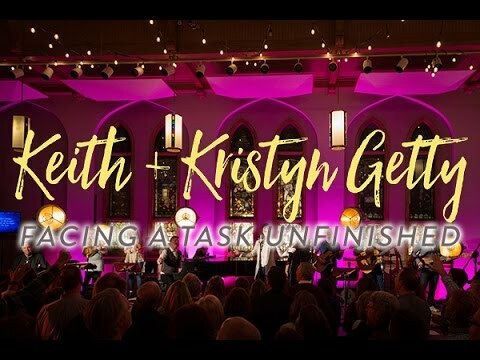 Facing a Task Unfinished is the latest album from pre-eminent modern hymn writers, Keith and Kristyn Getty. The album, which champions congregational singing and mission, follows the radical example of the hymn “Facing a Task Unfinished,” rewritten from its original 1931 version, where its urgent call propelled individuals, families and churches to global witness. This studio album features the Getty’s band, live congregational singing, and fresh global sounds as well as guest appearances by John Patitucci, Fernando Ortega, and artists from around the world.